The signs of autism can affect a child’s academic progress. Children with autism may have a difficult time coping with the classroom environment, following the teacher’s directions, and working cooperatively with their peers. When discussing autism with your child’s school, it can be helpful to have a child advocate present. Consider visiting an ABA therapist who offers school consulting and advocacy services. Before you can serve as an effective advocate for your child , it’s important to understand what your family’s rights. Under the Individuals with Disabilities Education Act (IDEA), every child is entitled to a free, appropriate public education (FAPE). This means that every public school is required to provide children with autism and other special needs with an Individualized Education Plan (IEP). As the parent, you have the right to approve your child’s IEP—or not—and to request that changes be made when necessary. Your child’s IEP is designed to address his or her unique needs to allow them access to education. Before you can discuss your child’s needs with the school staff, consult your child’s ABA therapist to determine what those specific needs entail. The ABA therapist may accompany you to IEP meetings to ensure that IEP goals are measurable and actionable, and that they best serve your child’s needs. Parents and the ABA therapist can work in a collaborative, friendly manner with the school staff. Keep the focus of the meeting on your child. Explain precisely what autism means for your child and which areas he or she struggles with. Discuss how the school can help by implementing consistent behavior interventions, modifying the classroom as needed, and providing any other needed services. The school advocacy program at The Behavior Exchange involves a wide range of services to help parents, school staff, and ABA therapists work collaboratively to better meet the needs of the child. In addition to offering autism therapy near Plano, our ABA specialists can provide advocacy services, IEP assistance, teacher training, and progress monitoring, among many other services. Contact our ABA therapy center at (888) 716-8084 and let us know how we can help your family. Autism spectrum disorders (ASD) affect children in different ways. Often, children with autism display language deficits, such as delayed language development. For example, a child may develop a broad vocabulary at an early age, yet have trouble associating the words with their meanings. These types of autism symptoms can make it difficult for children to progress in school. Difficulty with communication can also reduce quality of life for the child and the family. At an ABA school , an autism therapist can help children strengthen their communication skills. Delays in language development are one of the possible indicators of autism. By the time a child is six months old, he or she may begin babbling. 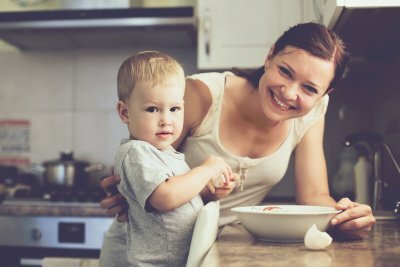 By 12 months, he or she may begin saying very simple words, such as “da-da” or “uh-oh.” And just one year later, children typically begin saying simple, short phrases and speaking about 50 words or more. Autism can cause children to experience delays in speech and language acquisition , which means they may not meet these milestones. A child begins to learn communication skills well before he or she can speak. Infants absorb knowledge of language by listening to their caregivers. Babies also learn to recognize the nonverbal cues of language, such as their parents’ facial expressions, eye gaze, body language, and tone of voice. For children with autism, social communication may be difficult and they may have trouble interpreting these nonverbal cues. When children with autism do develop speech skills, they may use them differently than typically developing children. Children with autism may engage in echolalia, which is the repetition of words that have no contextual meaning. For example, a parent may instruct a child to “Put the bananas in the cart,” while at the grocery store. The child may immediately begin to repeat this sentence over and over again, which is known as immediate echolalia. Or, he or she may repeat this sentence at a later time, which is delayed echolalia. At The Behavior Exchange, we use specialized teaching methods that help children develop skills in the areas of speech and language, self-help, age-appropriate play, and many more. Parents can schedule a meeting with an ABA therapist near Plano by calling (888) 716-8084. We also encourage you to visit our website to read more about our evidence-based autism services, including parent training and school advocacy. Many children with autism, learning differences, and behavior disorders have trouble making friends and interacting with others. If this describes your child with special needs, consider enrolling him or her in a social skills group at The Behavior Exchange, an ABA therapy center located in Plano. We’ve found that giving children with autism the tools they need to overcome social obstacles helps them feel self-confident and improves their quality of life. Under the guidance of an ABA therapist, your child will receive the support he or she needs to make new friends. 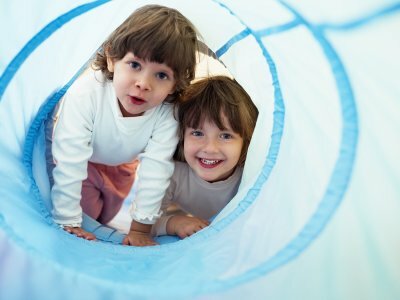 We offer a unique social skills curriculum with structured lessons, academic enrichment, and applied activities to encourage appropriate social interactions. Children in our social skills groups have fun and develop important skills while participating in our broad range of age-appropriate activities. Parents of children with autism and other special needs are encouraged to call us at (888) 716-8084 today to find out more.